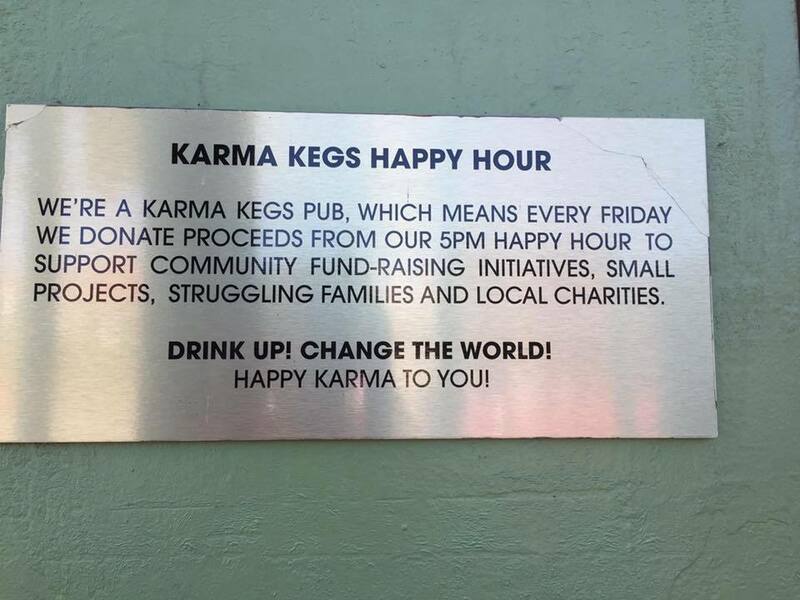 The idea of a "Karma Keg" has been around for a few years now in several pubs and bars across Australia. The idea is why not help others whilst enjoying a cold frothy one? Venues allow customers to "pay what they want" for a beer until the keg runs dry. Of course, someone could take advantage of the offer and drink approximately 150 beers for free, but that would definitely bring about bad karma. The Karma Keg is based on the 'what goes around comes around' principle and proceeds from the keg go to the venue owner's chosen charity. Other venues place a minimum amount on a beer ensuring that a fair price is paid for a cold one. On the whole, it appears that Australians are generous with most people paying a fair amount. Maybe the fear of getting hit by bad Karma is enough to make people pay up. With corporate social responsibility becoming more important, some of the big brewers are getting involved by donating the kegs to local venues. Karma Kegs makes helping others easy uniting two of our favourite things, Friday afternoons and a cold beer. Enjoy responsibly and remember, don't drink and drive - definitely bad Karma.